A Rush to Judgment in Argentine Bomb Case? The evidence already available about Argentine Prosecutor Alberto Nisman's death from a gunshot to the head creates a strong presumption that he was murdered. He was about to present publicly his accusation that President Christina Fernandez de Kirchner and her foreign minister, Hector Timerman, conspired to absolve Iran of the 1994 AMIA bombing and lift the Interpol red notices on the accused Iranians. And it was Nisman's 2006 request for the arrest of six former senior Iranian officials for the bombing that prompted his push for those red notices. In the context of Argentine political culture, with its long experience of impunity for crimes committed by the powerful, the circumstances of his death have led to a general conviction that the government must have been behind his murder. But there is good reason to be cautious about that assumption. Nisman's case against Kirchner was problematic. The central accusation in his affidavit, made 96 times, according to press accounts, was that Kirchner and Timerman had sought to revoke the Interpol arrest warrants against the former Iranian officials. But Ronald K. Noble, the secretary general of Interpol for 15 years until last November, denied Nisman's accusation. Noble declared, "I can say with 100 percent certainty, not a scintilla of doubt, that Foreign Minister Timerman and the Argentine government have been steadfast, persistent and unwavering that the Interpol's red notices be issued, remain in effect and not be suspend or removed." Noble's denial raises an obvious question: Why would the Kirchner government, knowing that Nisman's main claim could be easily refuted, have any reason to kill him on the eve of the presentation of his case? Why give those seeking to discredit the government's policy on the AMIA bombing the opportunity to shift the issue from the facts of the case to the presumption of officially sponsored assassination? The Kirchner-Timerman negotiation of an agreement with Iran in January 2013 for an "international truth commission" on the AMIA bombing would have sent five respected international judicial figures to Iran to question the accused Iranians. That was a way of getting around the Iranian refusal to subject former high-ranking officials to Argentine justice. But Nisman was trying to prove that was an illicit cover-up for a cynical deal with Iran. He considered it "a betrayal of the country and his work," according to his friend, Gustavo Perednik. Nisman's "criminal complaint" against Kirchner and Timerman claimed the government's negotiations with Iran involved a "sophisticated criminal plan" to make a deal with one of the Iranians the prosecutor accused of the AMIA bombing, former cultural attache Mohsen Rabbani. It asserted that Argentina promised Iran that it would lift the Interpol notices on the six Iranian in exchange for an "oil for grains" deal. Nisman's accusation was based on snippets of transcripts from 5,000 hours of wiretaps of conversations of allies of the Kirchner government that have now been made public by a judge. One of the excerpts quotes Rabbani himself, in a conversation with an ally of Fernandez, as saying: "Iran was Argentina's main buyer and now it's buying almost nothing. That could change. Here [in Iran] there are some sectors of the government who've told me they are willing to sell oil to Argentina ... and also to buy weapons." The presentation of facts or allegations as proof of guilt, even though they proved nothing of the sort, was also a pattern that permeated Nisman's 2006 "Request for Arrests" in the 1994 AMIA bombing. Contrary to the general reverence in the news media for his indictment of senior Iranian officials for their alleged responsibility for the bombing, his case was built on a massive accumulation of highly dubious and misleading claims, from the "irrefutable evidence" of Rabbani's participation in planning to the identification of the alleged suicide car bomber. 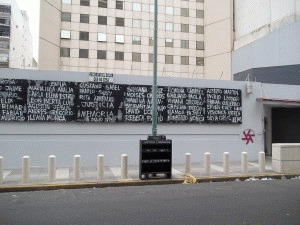 This writer's investigation of the case over several months, which included interviews with U.S. diplomats who had served in the Embassy in Buenos Aires in the years following the AMIA bombing as well as with the FBI official detailed to work on the case in 1996-97, concluded that the Argentine investigators never found any evidence of Iranian involvement. Nisman asserted that the highest Iranian officials had decided to carry out the bombing at a meeting on Aug. 12 or 14, 1993, primarily on the testimony of four officials of the Mujahedeen E-Khalq (MEK), the Iranian exile terrorist group that was openly dedicated to the overthrow of the Iranian regime. The four MEK officials claimed to know the precise place, date and time and the three-point agenda of the meeting. When U.S. Ambassador Anthony Wayne, meeting with Nisman in November 2006, asked him about Argentine press reports that had criticized the document for using the testimony of "unreliable witnesses," Nisman responded, according to the Embassy reporting cable, that several of the witnesses were "former senior Iraqi [sic] officials, e.g. Bani Sadr, with direct knowledge of events surrounding the conception of the attacks." Nisman's suggestion that former Iranian president Abolhassen Banisadr had "direct knowledge" related to the AMIA bombings was a stunningly brazen falsehood. Banisadr had been impeached by the Iranian legislature in June 1981 and had fled to Paris the following month -- 13 years before the bombing. Nisman also cited the testimony of Abolghassem Mesbahi, who called himself a "defector" from the Iranian intelligence service, that Iranian officials had made such a decision sometime in August 1993. But Mesbahi was known by U.S. intelligence analysts as a "serial fabricator" who had also told an obviously false story about Iranian involvement in the 9/11 attacks.